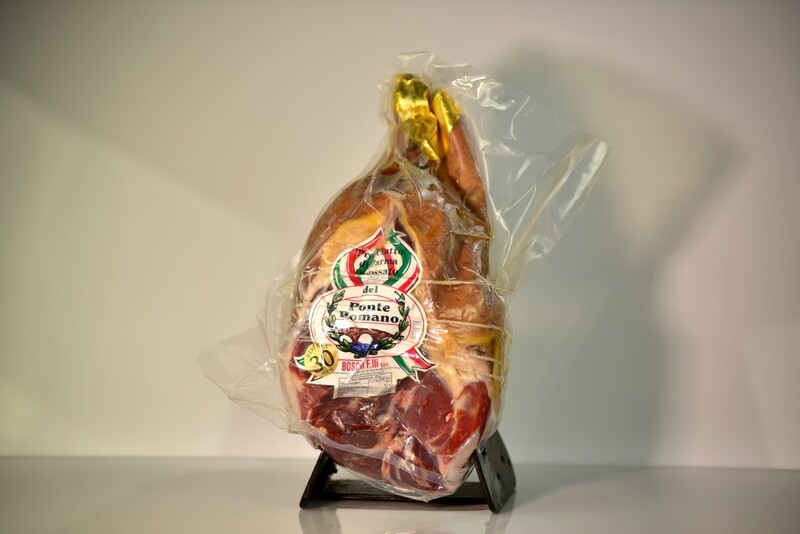 Parma Ham from the F.lli Boschi di Ponte Romano is produced in Corniglio, a small village in the Mountain just above Langhirano. Their secret is the cure in the smallest details, the thigh after the thigh, and the patience of knowing how to wait, let these precious hams calmly slip. At table, you will be surprised by its sweet, soft, tasty, and the fat yarn that covers it melts in your mouth. Try 30 months, unsurpassed, with the stratospheric sweetness.